new research findings, surveys and upcoming events. this page at that point. Forum members therefore have priority access, and this is a good reason to join! If you have interesting photos, videos or ideas to share, you can also use our Facebook and Twitter pages. therefore have priority access, and this is a good reason to join! • New moth species appearing in gardens. • Cautions over bird feeding and disease. • Honeybees should be seen as farmed species. 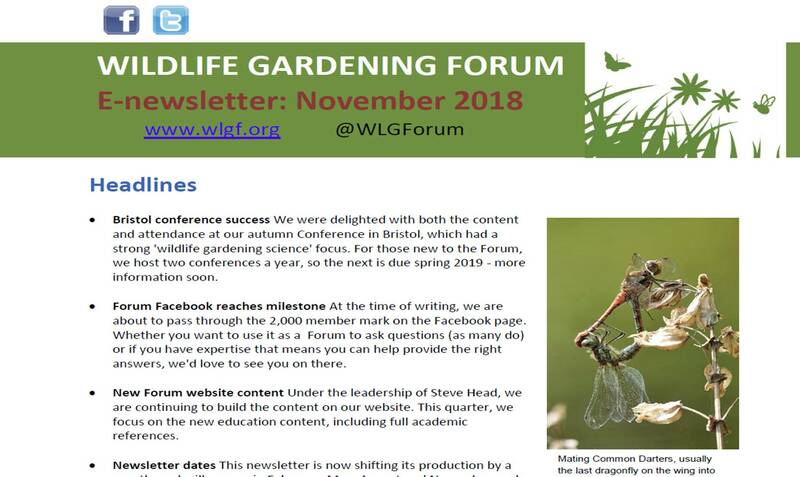 • Wildlife gardening and health. • What works for wildlife in a hanging basket? What works for wildlife in a hanging basket?